There are few places more perfect for chocolate lovers than the ChocoMuseo in Miraflores. Travelers can tour the chocolate factory and watch expert artisans craft dark, milk and white chocolate delights by hand, or participate in one of the museum’s unique workshops that grant visitors an opportunity to create rich chocolate truffles or transform cocoa beans to bars under the direction of master chocolatiers. A world-class café offers up chocolate-themed pastries, desserts and beverages, and a well-stocked chocolate shop is lined with shelves of locally sourced treats. Interested travelers can even tour nearby cocoa plantations and learn how local farmers grow and harvest these prized beans to provide pastry chefs and cooks with one of the world’s most coveted ingredients. A visit to ChocoMuseo Miraflores is the perfect way for chocolate lovers to spend an afternoon experiencing the wonder of this rich and delicious delicacy with all of their senses. The museum is located three blocks from the central square on Calle Berlin 375 in Miarflores. It is open Sunday through Thursday from 11 a.m. until 7:30 p.m. and Friday and Saturday from 11 a.m. to 8:30 p.m. Hours: Sunday through Thursday from 11 a.m. until 7:30 p.m. and Friday and Saturday from 11 a.m. to 8:30 p.m. Taste the delicious diversity of Peru’s thriving cacao industry during this 2-hour chocolate-making workshop at Lima’s ChocoMuseo. Learn about every step of the chocolate-making process, including roasting the beans, removing the husk, grinding the nibs and refining the paste in a ‘melangeur.’ You’ll then get to create your very own chocolate with your choice of ingredients, leaving with a delicious handmade dessert. This chocolate-making workshop includes all necessary ingredients, a chocolate drink tasting and a handmade chocolate souvenir. Don't let confusing public transit, overpriced taxis, or lack of time keep you from exploring the wonders of Lima. This Lima city tour is specifically designed for passengers disembarking at the Port of Callao and includes a private van and professional guide to help you see the city's highlights, from its UNESCO-listed center to its famous cafes. Taste the delicious diversity of Peru’s thriving cacao industry during this 2-hour truffle-making workshop at Lima’s ChocoMuseo. Participate in every step of the truffle-making process, including preparing, decorating and filling these sweet treats with your own choice of filling. 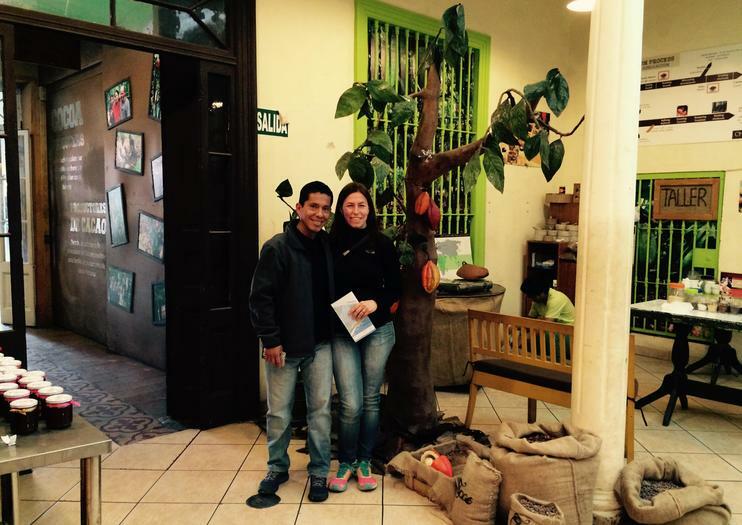 You’ll also have time to explore the history of cocoa and Peru’s own chocolate industry at the on-site museum. This chocolate-making workshop includes all necessary ingredients plus 6 truffles and 3 flavored chocolate souvenirs. Get your bearings in Lima on this small-group city tour of Lima and Barranco. From historical houses to contemporary art to popular bars and ice cream parlous, this tour will introduce you to the city's splendors. This tour includes hotel pickup and drop-off and all entrance fees for a hassle-free experience. Taste the delicious diversity of Peru’s thriving cacao industry during this 45-minute chocolate-making workshop at Lima’s ChocoMuseo. Learn about the chocolate-making process before create your very own dark or milk chocolate with your choice of 15 different ingredients. You’ll leave the session with your very own delicious handmade dessert. This chocolate-making workshop includes all necessary ingredients and a handmade chocolate souvenir.